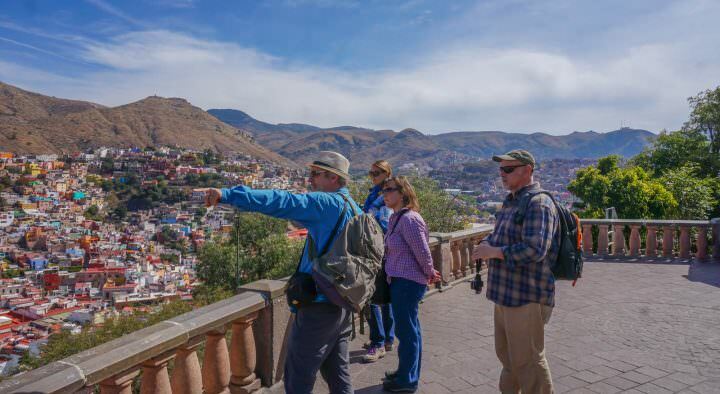 Photos play a huge part in our travel lives. It’s fantastic to be able to experience a country, culture, food and people and have those memories in our minds. It’s even more fantastic to have great photos of the things we see and do so we can look back on them whenever we choose. 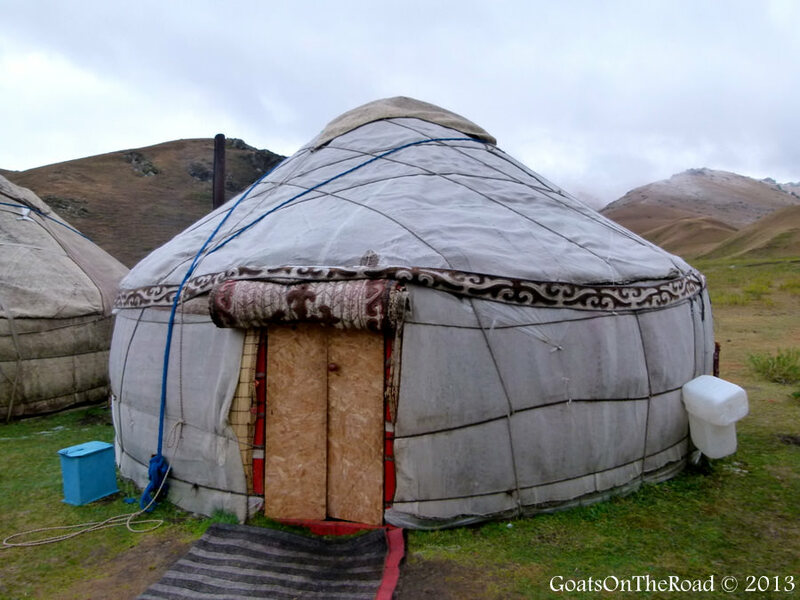 This year took us through China, Mongolia, Russia, Kazakhstan, Kyrgyzstan, Tajikistan, Uzbekistan, Turkmenistan, Iran, England and finally…home to Canada. 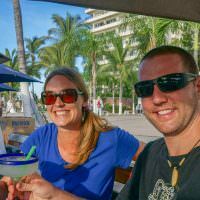 We’ve gone through our bazillion or so photos and selected some of our favourites to take you on a journey through our year of travel. 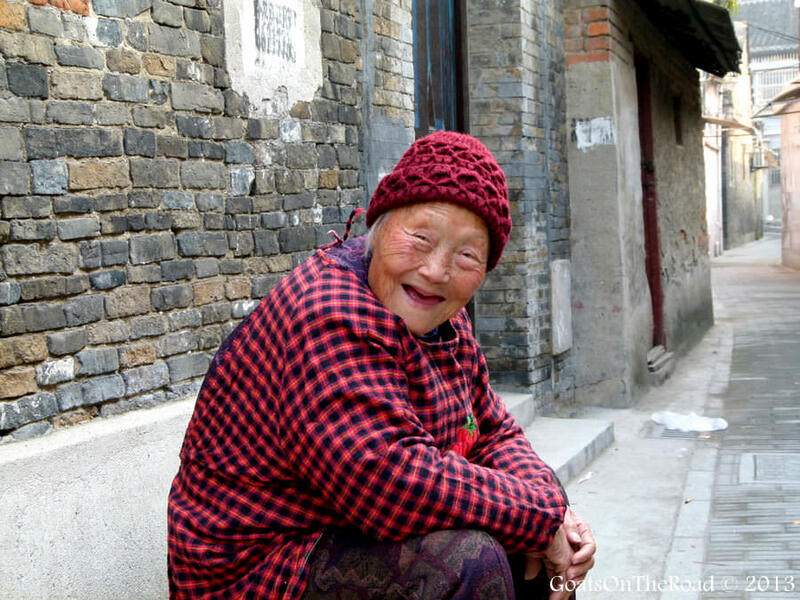 A wonderful woman we met in the Old Town, Yangzhou, China. 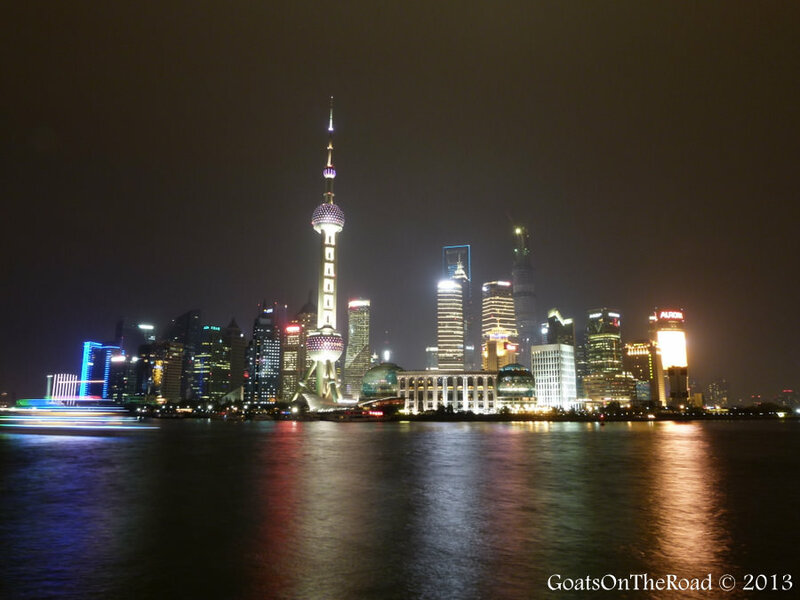 We went to Shanghai many times…such an awesome skyline! We went to the nearby city of Suzhou for a long weekend away. 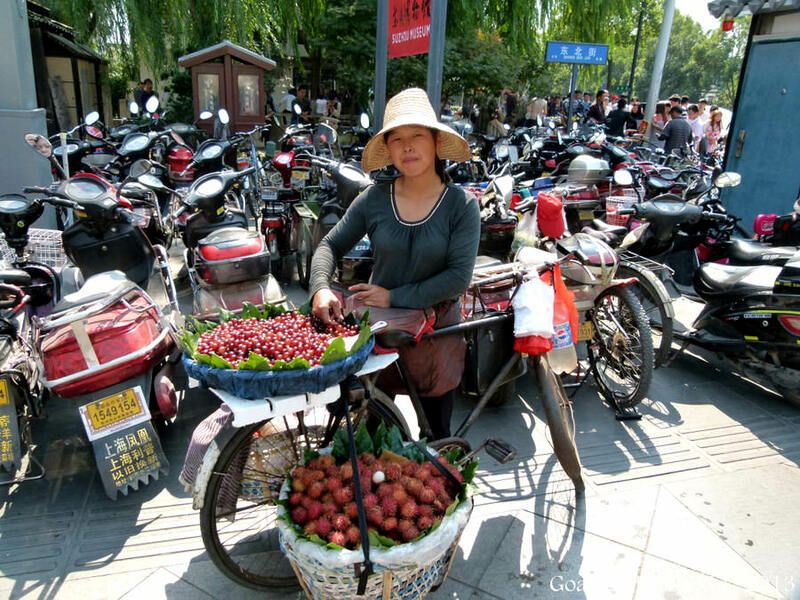 Motorcycles, bicycles and street vendors are found all over China! 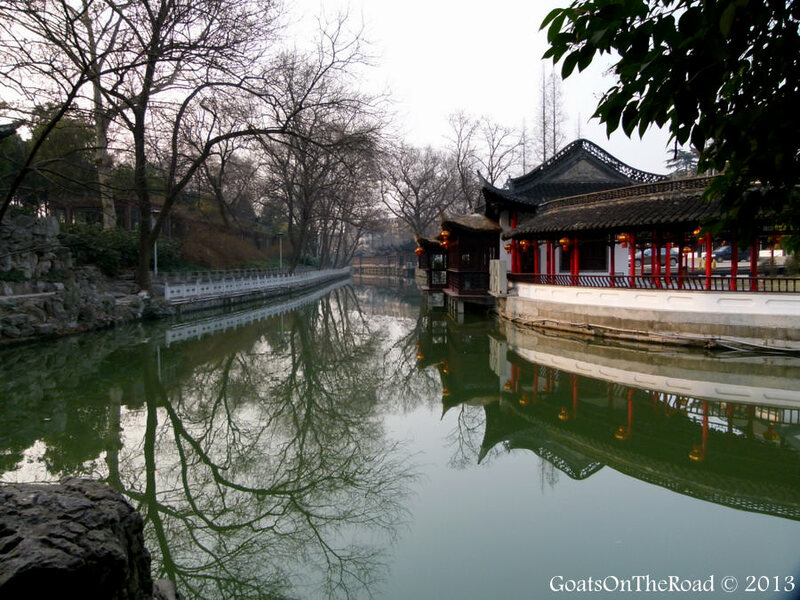 Beautiful Yangzhou, China – our home for a year. 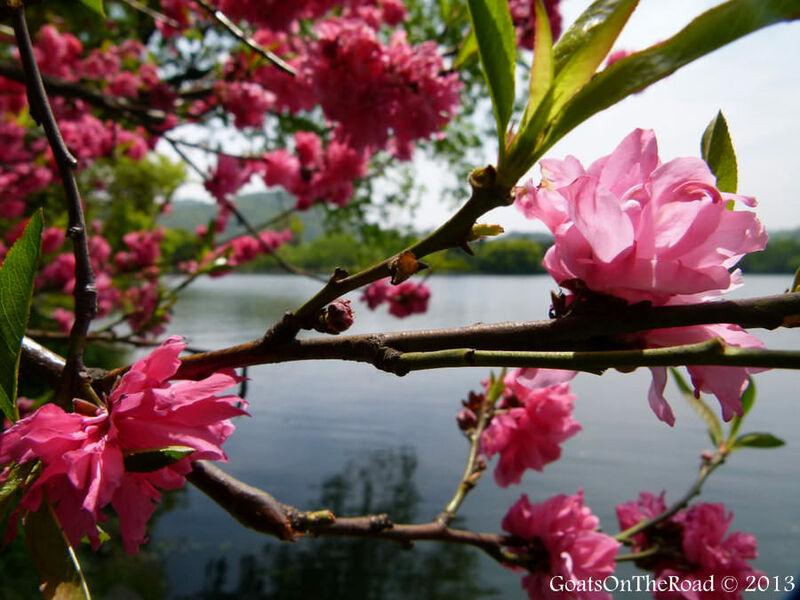 Colourful blossoms were found all around China during March & April. We went to Hangzhou for a few days to see these beauties. 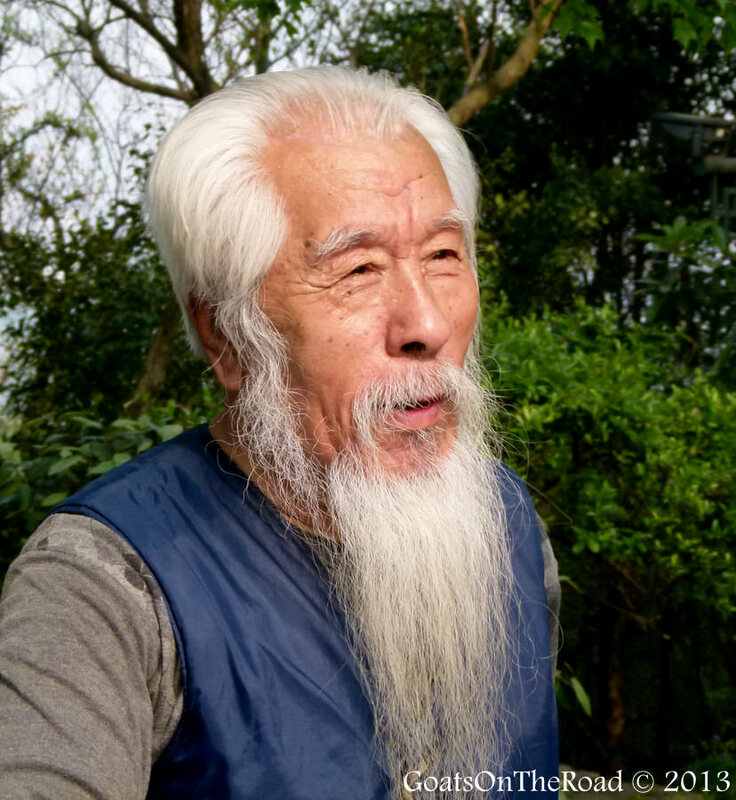 A very friendly Chinese man that we met during our trip to Hangzhou. 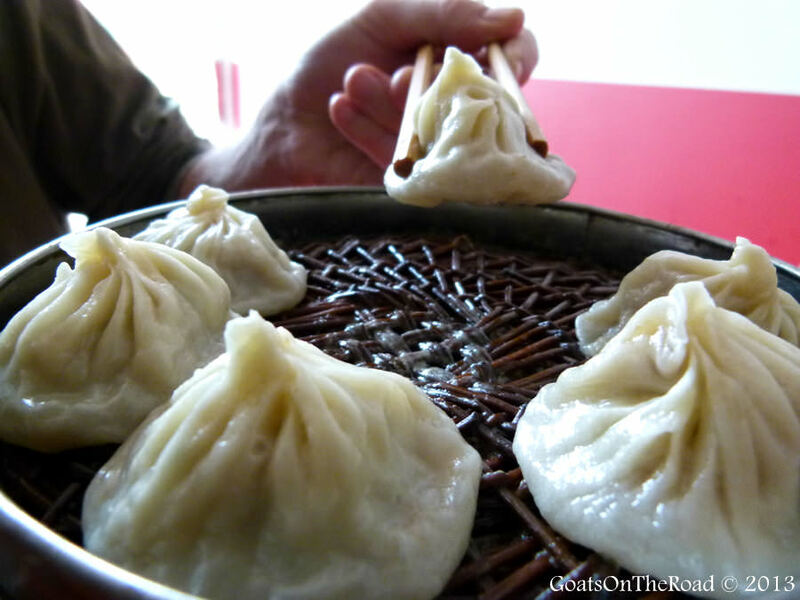 We ate so many dumplings during our year in China! Not only are they delicious, but they’re cheap. 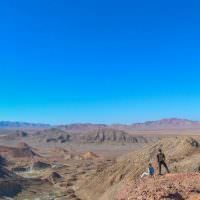 We spent 6 days in the Gobi Desert and loved it. 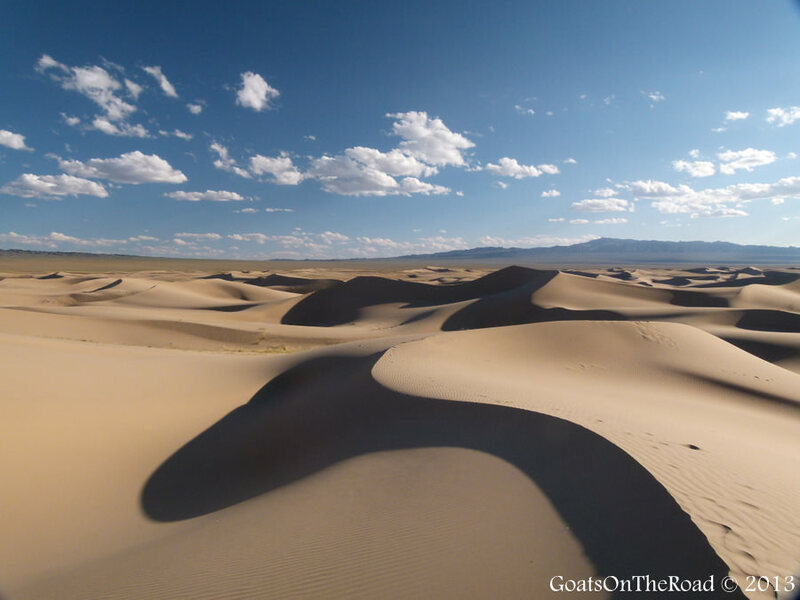 Watching the sun set over these gorgeous dunes was a highlight. 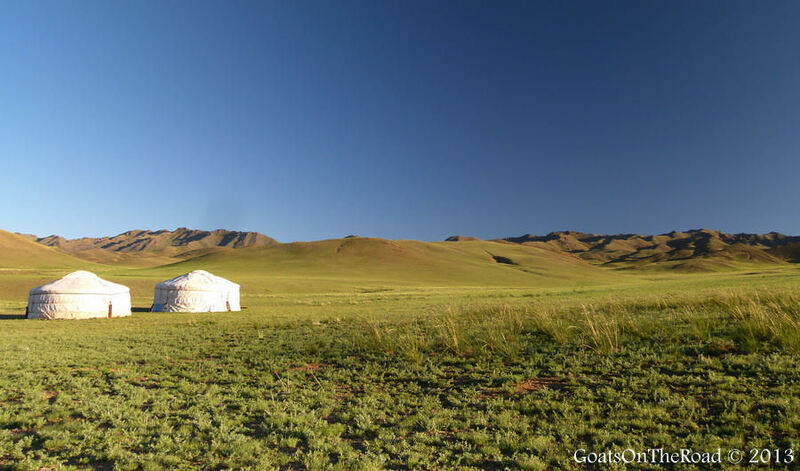 Two lone gers in the middle of the Mongolian steppe. 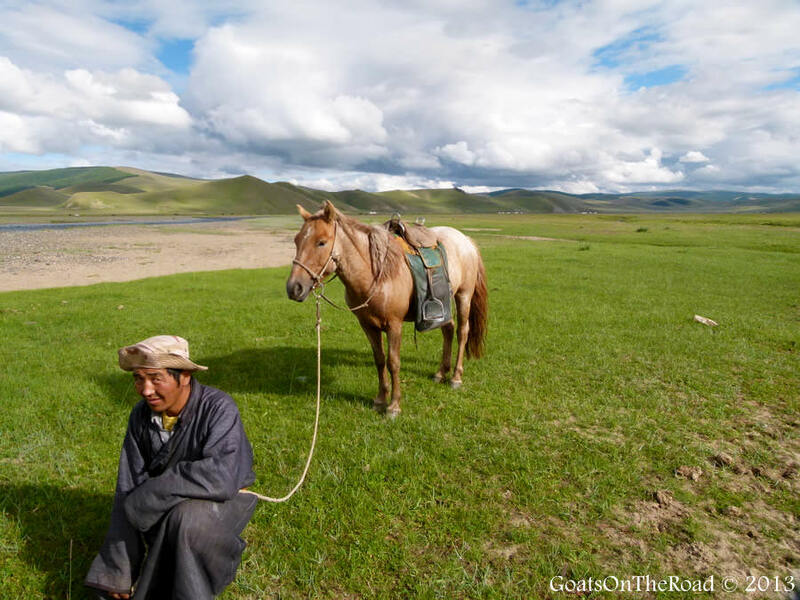 Man & Man’s Best Friend in Mongolia. 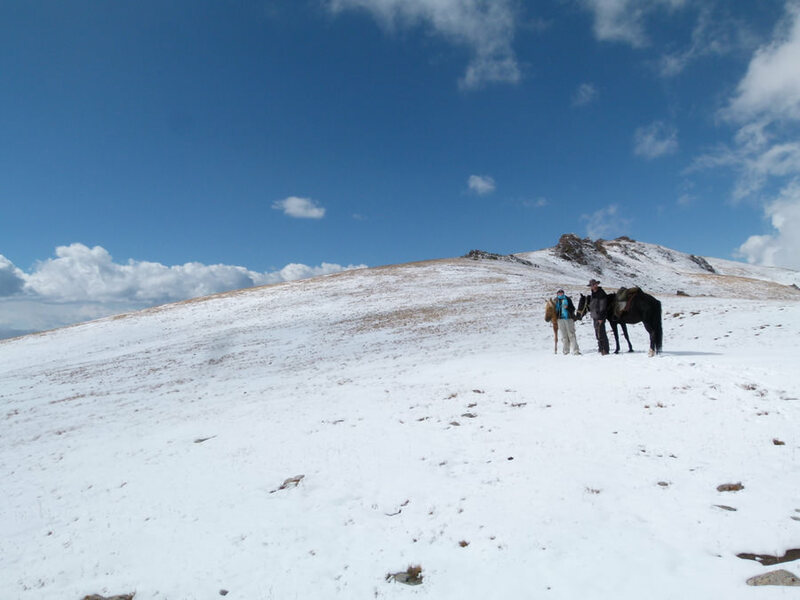 We trekked independently in Mongolia for 8 days. 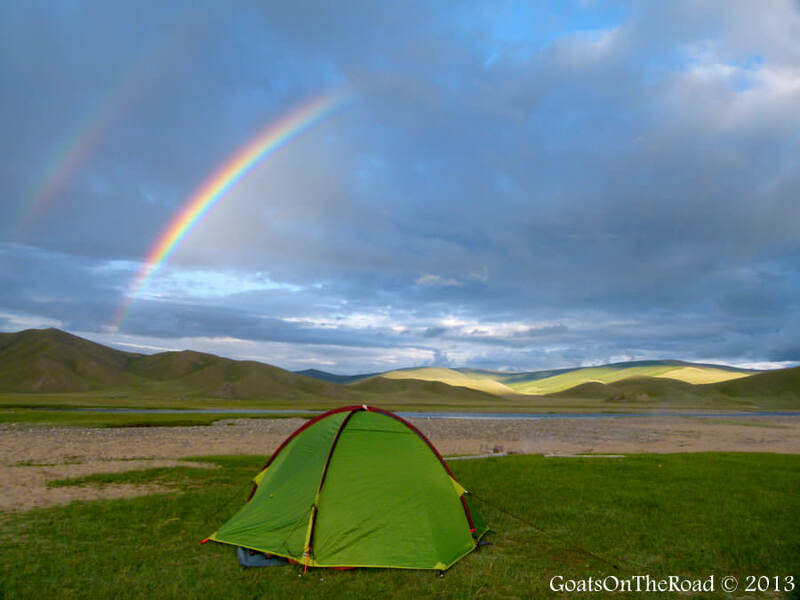 This was one of our campsites for the night…with double rainbows as a background! Spreading around some Canadian cheer on the Mongolian steppe. A means of drying out cheese for the nomadic people. 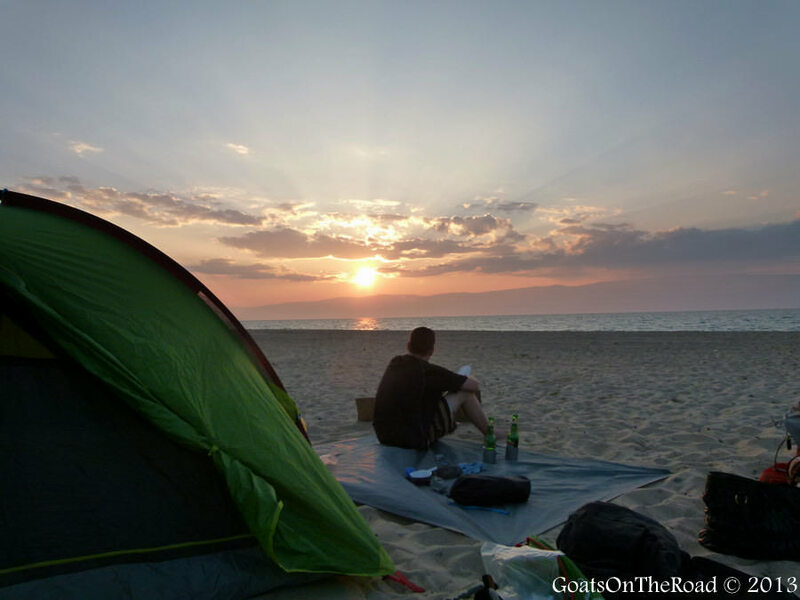 Camping along the shores of Lake Baikal: the deepest, oldest and one of the clearest freshwater lakes in the world. 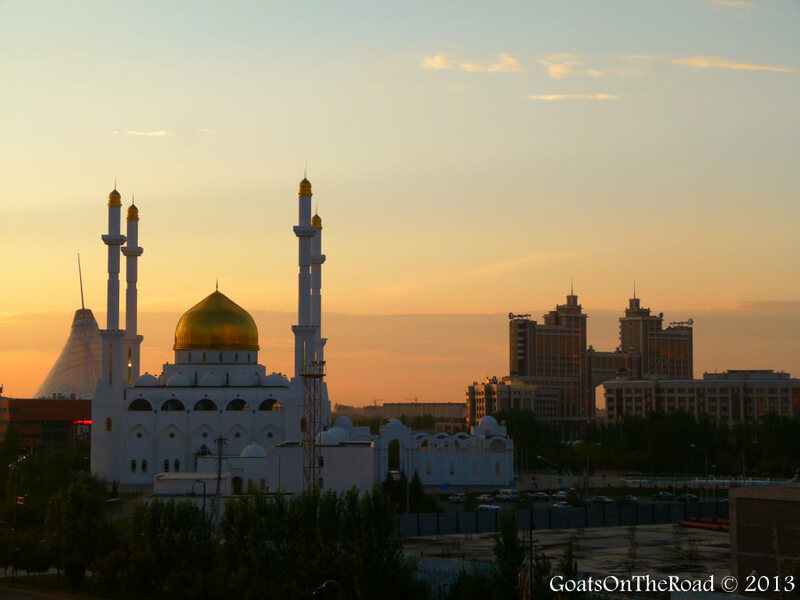 The gorgeous Nur-Astana Mosque at sunset. 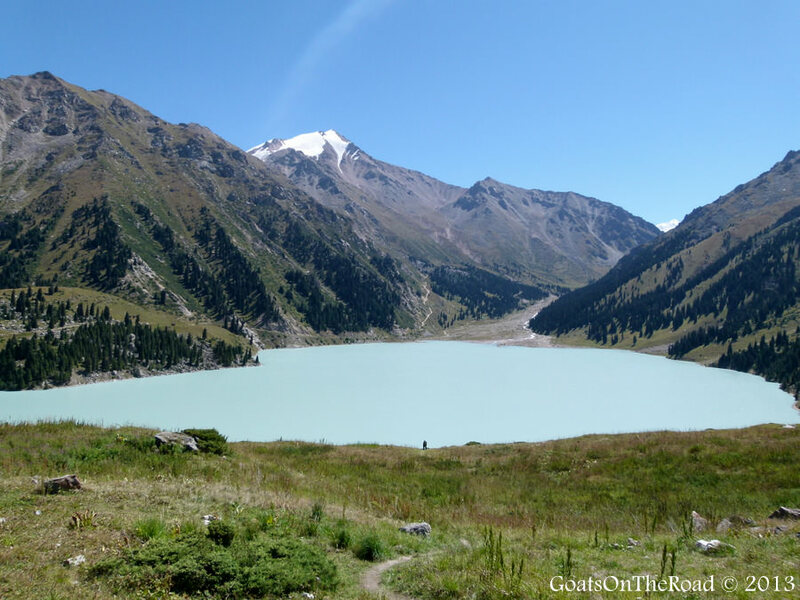 Big Almaty Lake in the Alatau – Eliy National Park. 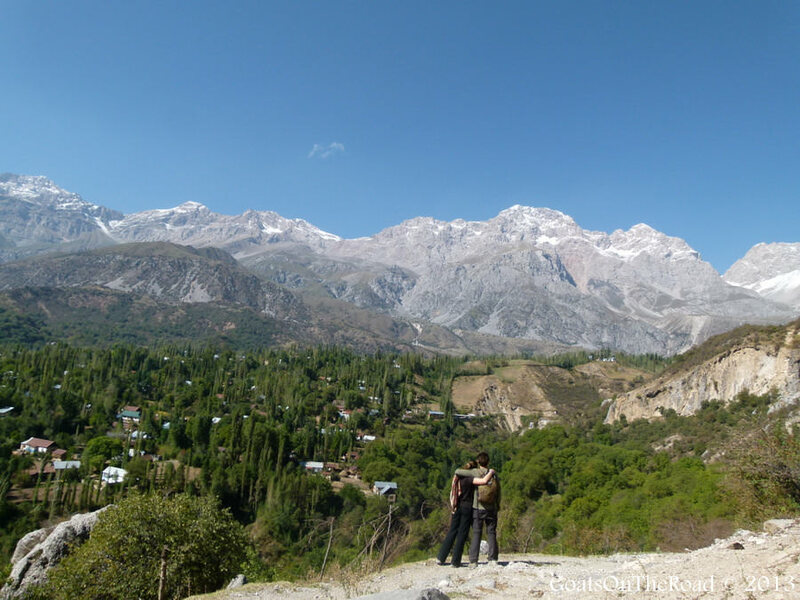 A 3 day horse trek to Lake Song-Kul. Us at the 3,000m high pass. 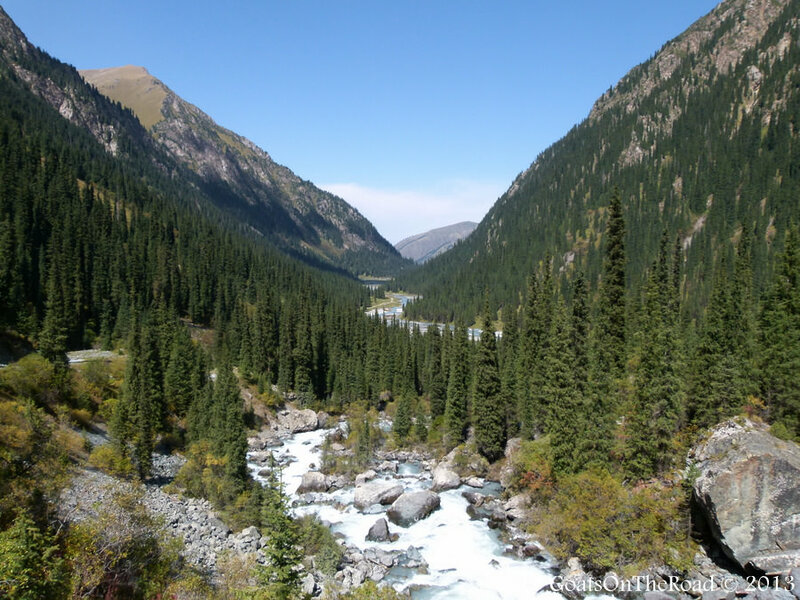 Looking back down the valley during our 3 day trek from Karakol to Altyn Arashan. 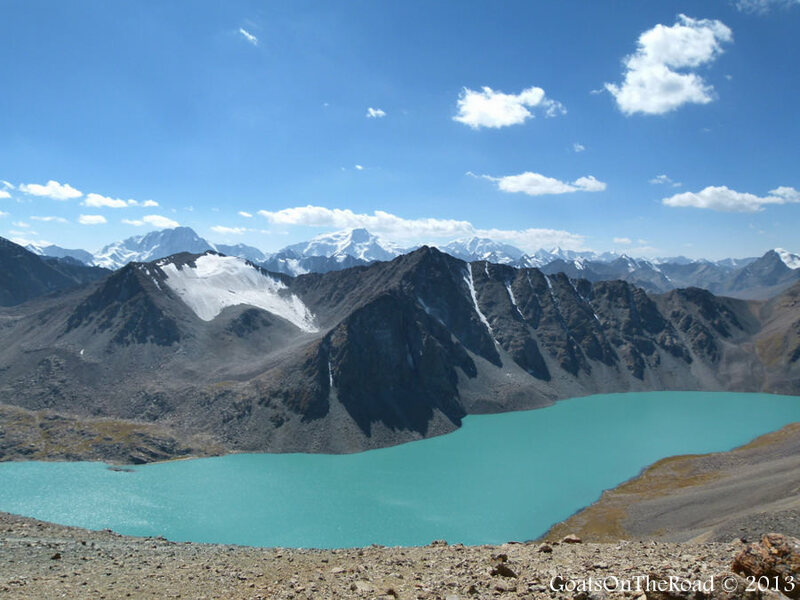 At 3,560m the Ala-Kul Lake was stunning. Enjoying the picturesque village of Arslanbob. 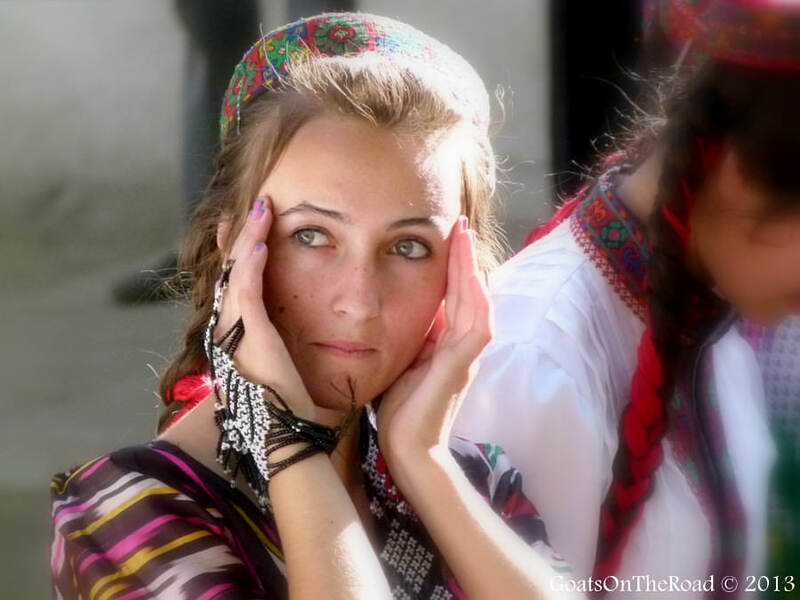 A Pamiri girl in Ishkashim. 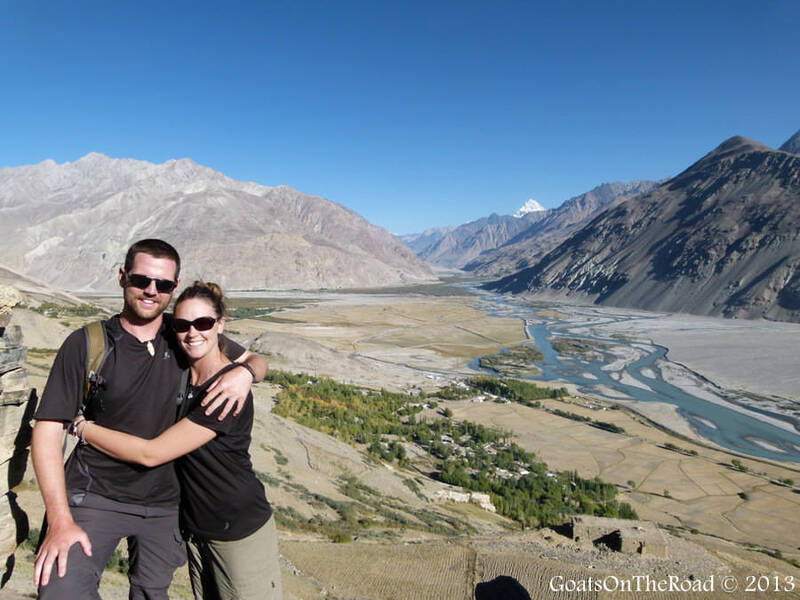 Gorgeous views of the Wakhan Corridor from the ancient Abrashim Qala Fort. 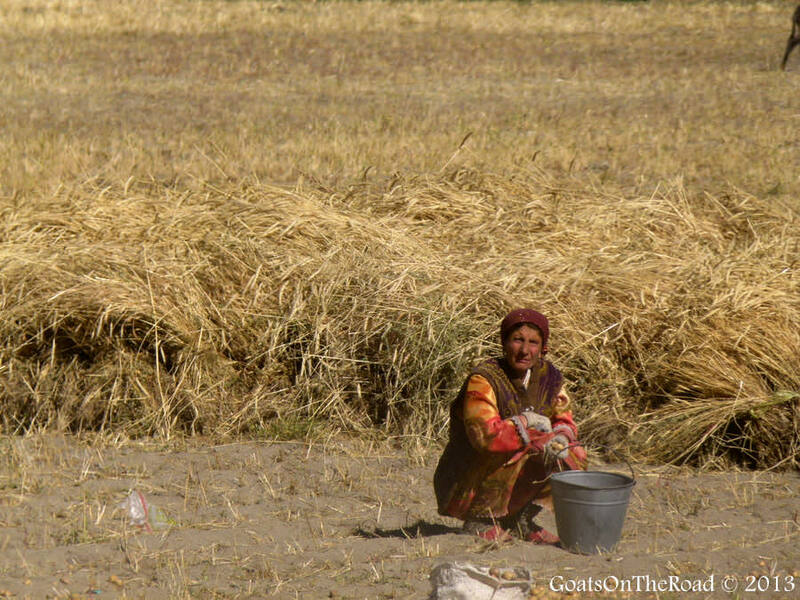 A Wakhi woman during the harvest in the village of Langar. 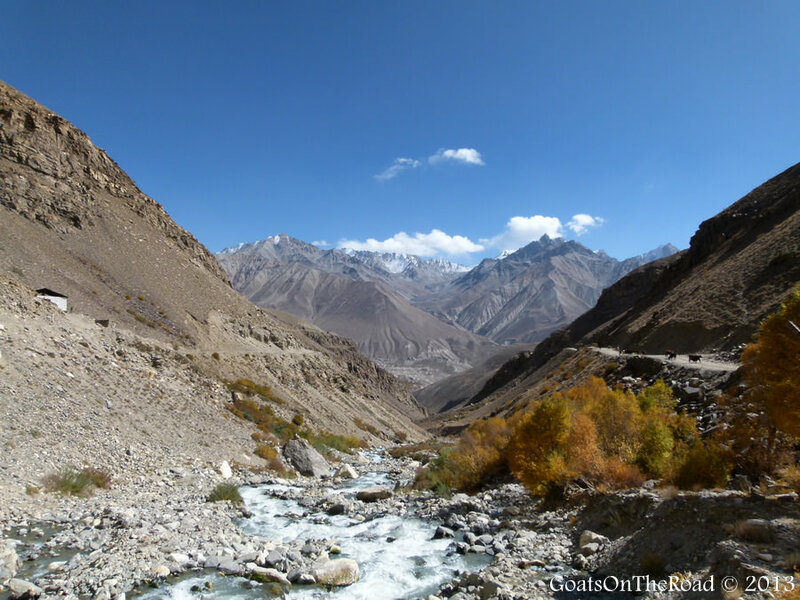 Views of the Pamir Mountains and Hindu Kush on the Pamir Highway. 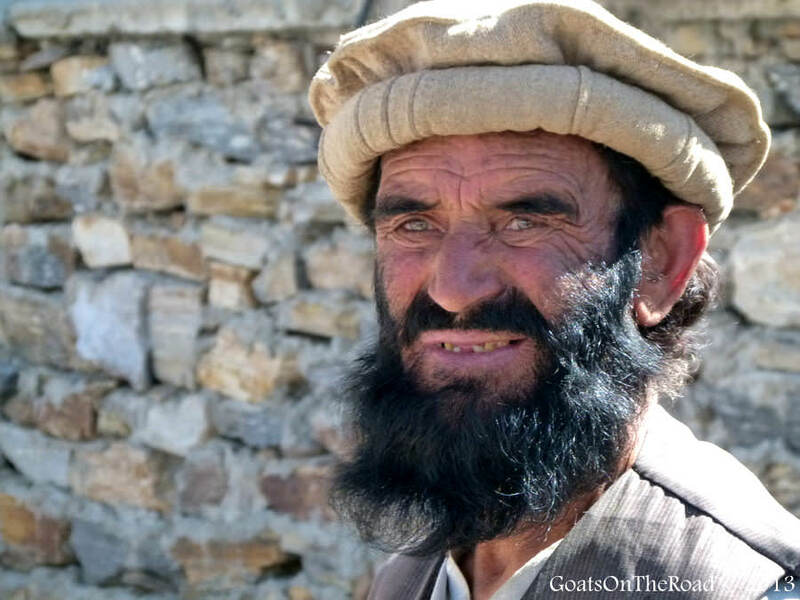 An Afghan man looks on during the cross border market with Tajikistan & Afghanistan. 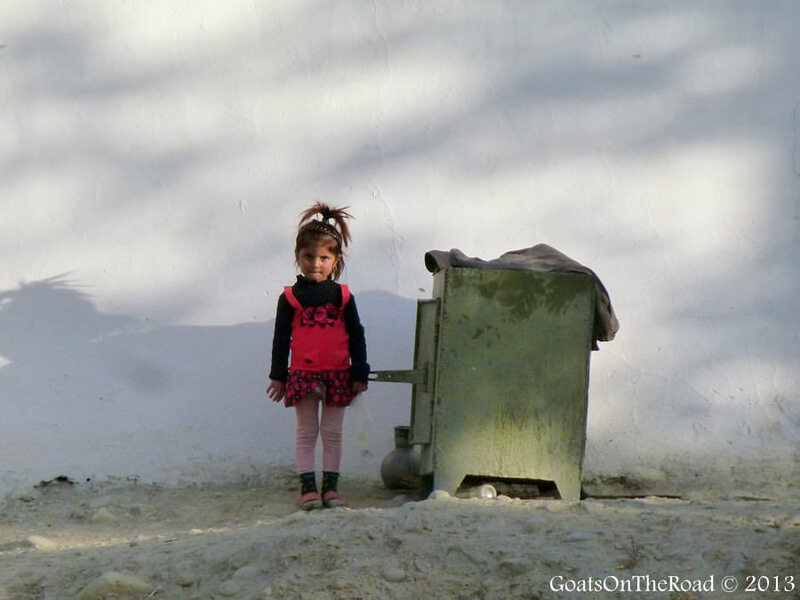 A Wakhi girl in the village of Langar. 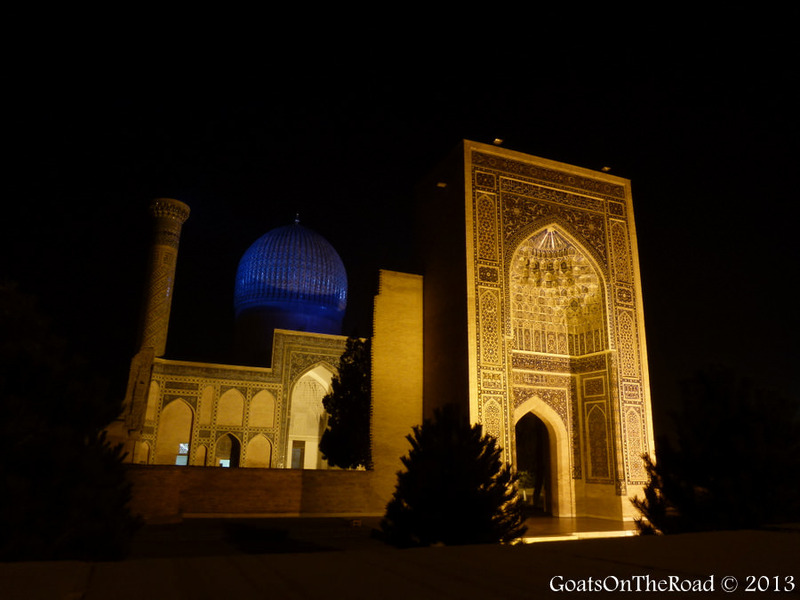 Amir Timur Mosque lit up at night in Samarkand. 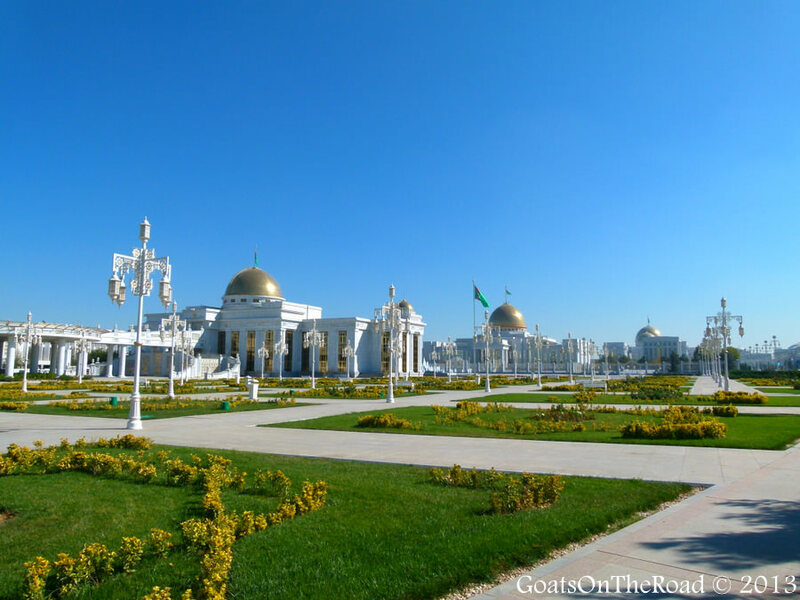 One of the many white marble buildings in one of the strangest cities we’ve been in: Ashgabat. 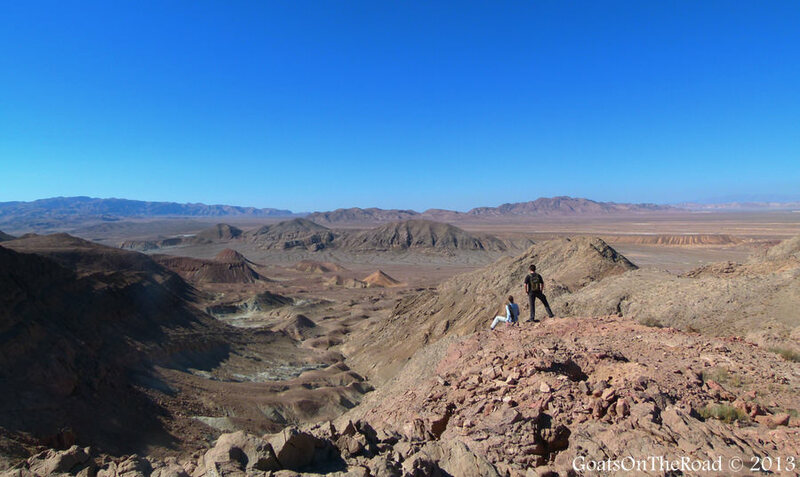 Hiking around the desert village of Garmeh. 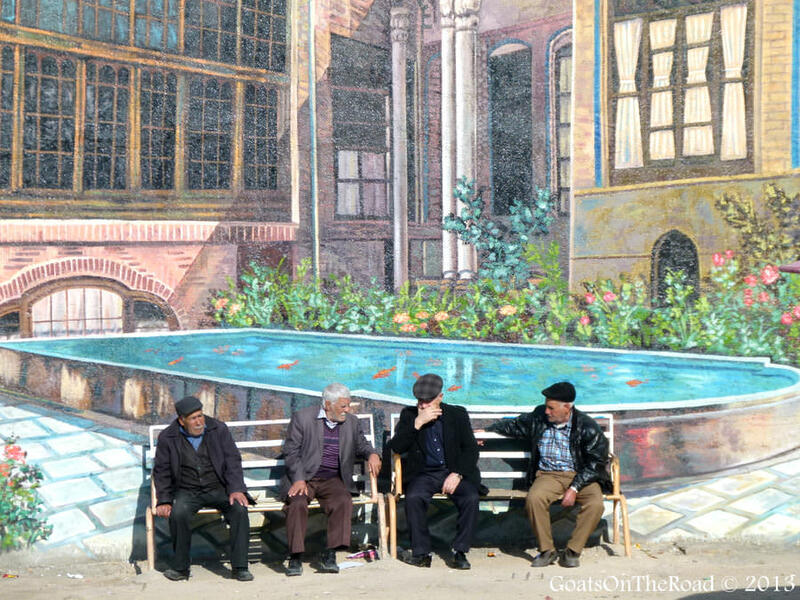 Taking an afternoon break in the sun, Tabriz. 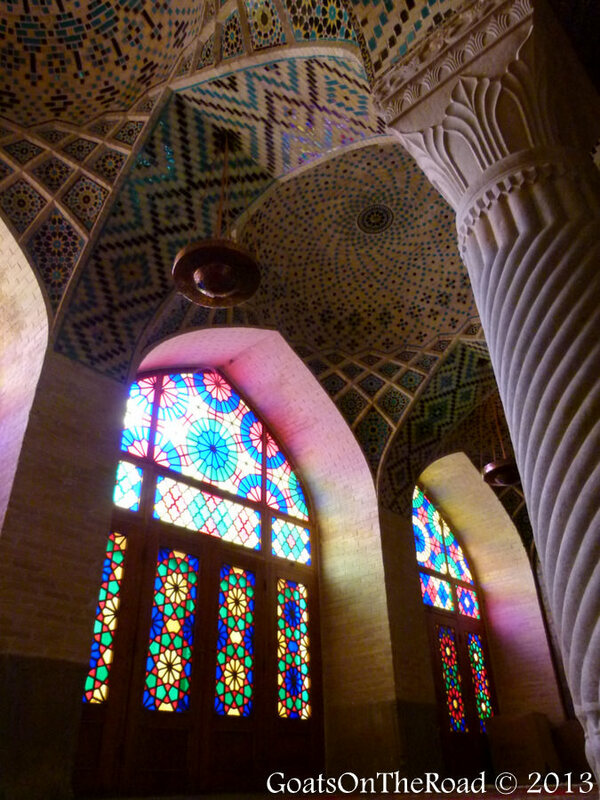 Illuminated stained glass at the Nasir al-Mulk Mosque in Shiraz. 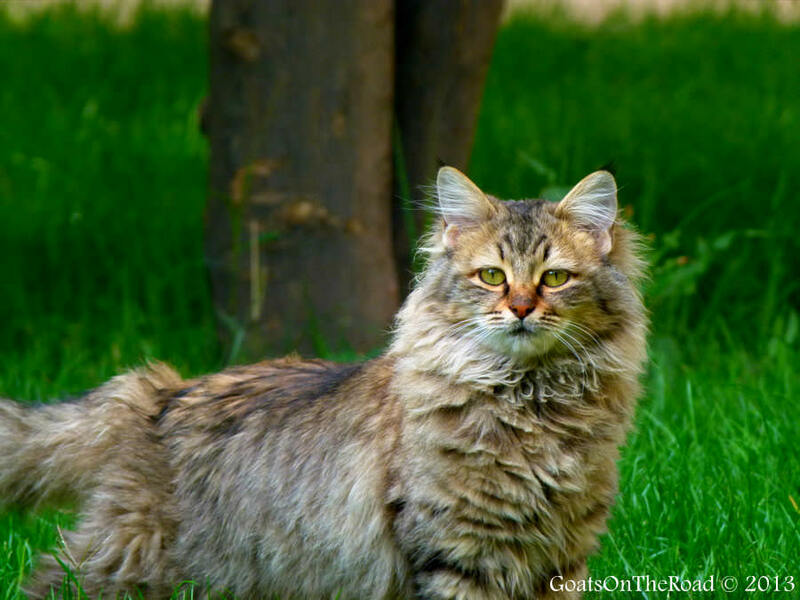 A Persian Cat in Persia! 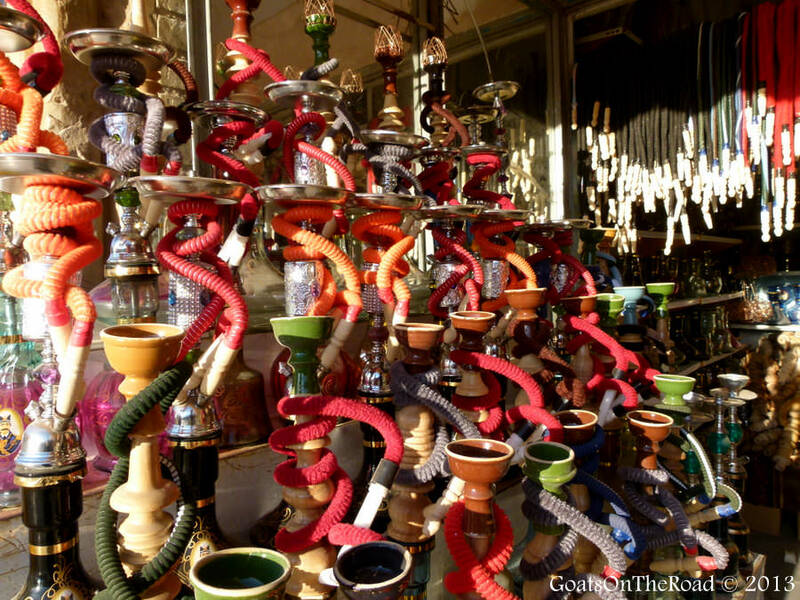 A Qalyan (water pipe) shop in Kerman…these are found all over Iran. 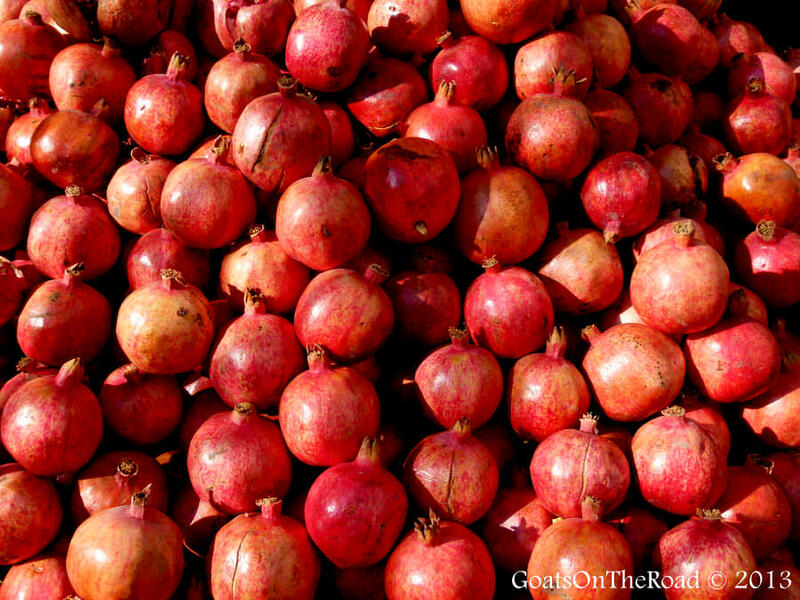 Pomegranates are so delicious and found all around Iran. 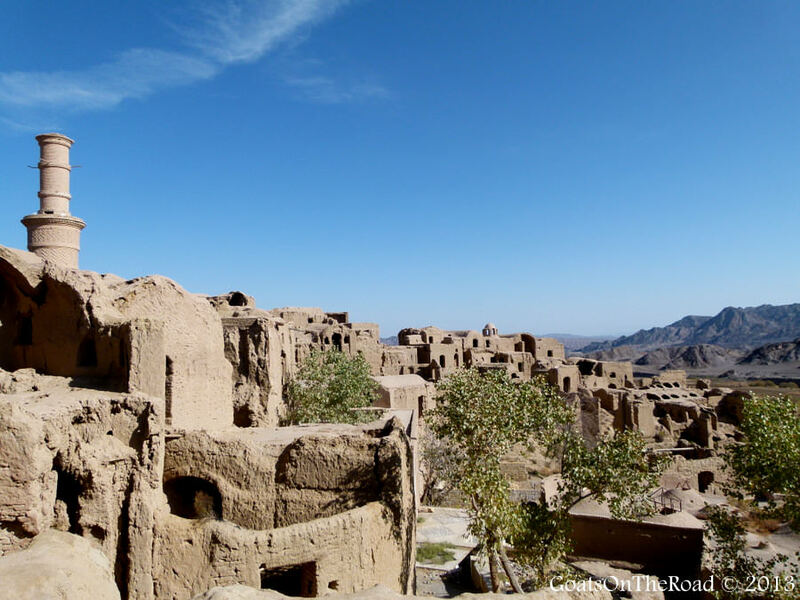 The troglodyte village of Kandovan. At the Kaluts in the desert to watch the sun set. Our second visit to London was just as good as the first back in 2011. 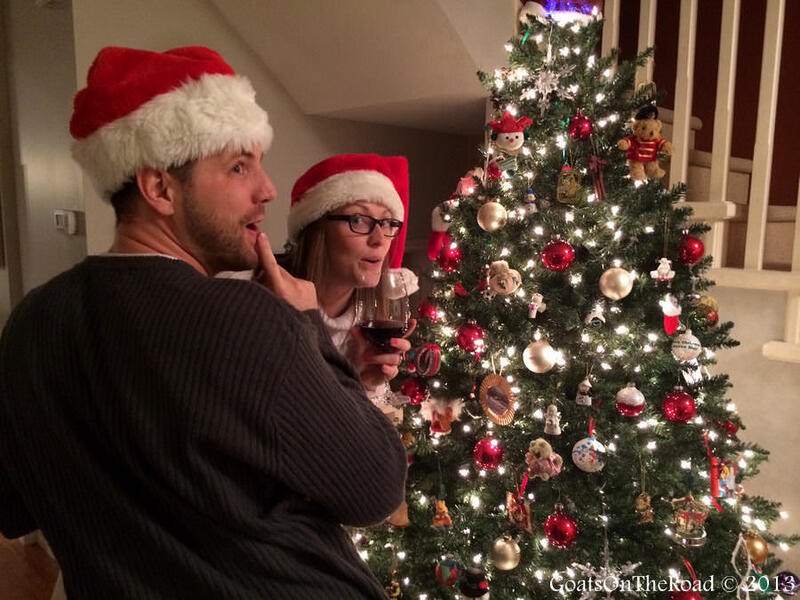 This was such a fantastic year for the two of us! 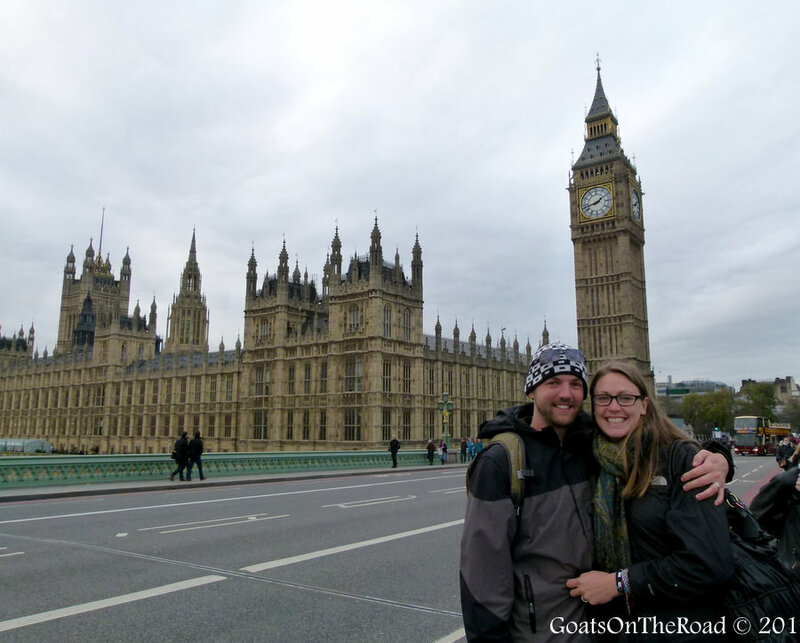 Since being home in Canada, we’ve been so “go, go, go” that we haven’t really had a chance to reflect on this 5 month trip that we just undertook. Going through all of these photos really helped the reality of it sink in. We thank everyone for following our journey this year, commenting on our articles and giving us constructive criticism. We really appreciate it. We have lots of plans for 2014, so stick around to see what we get up to! 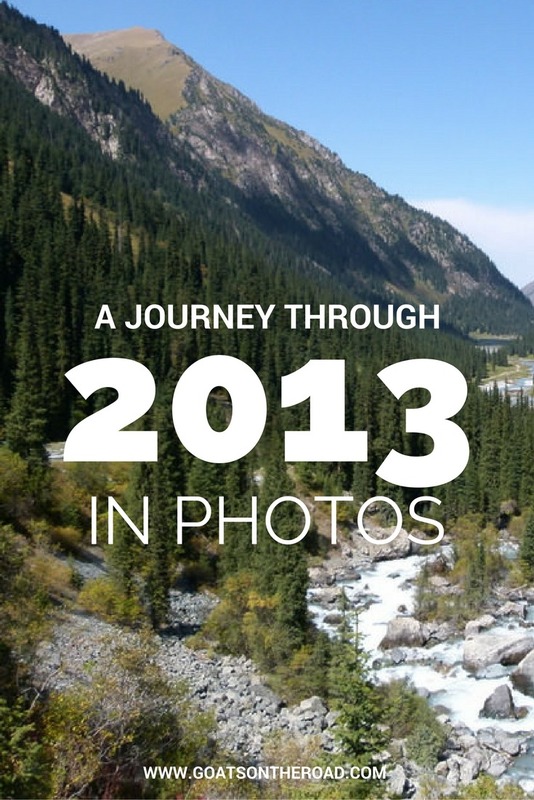 What did you get up to in 2013? Any plans for 2014? Share with us below! Those dumplings look delicious. Also, your campsites look great as well as the hike! Thanks Angela! Trust me, those dumplings were delicious! We always ate them haha. 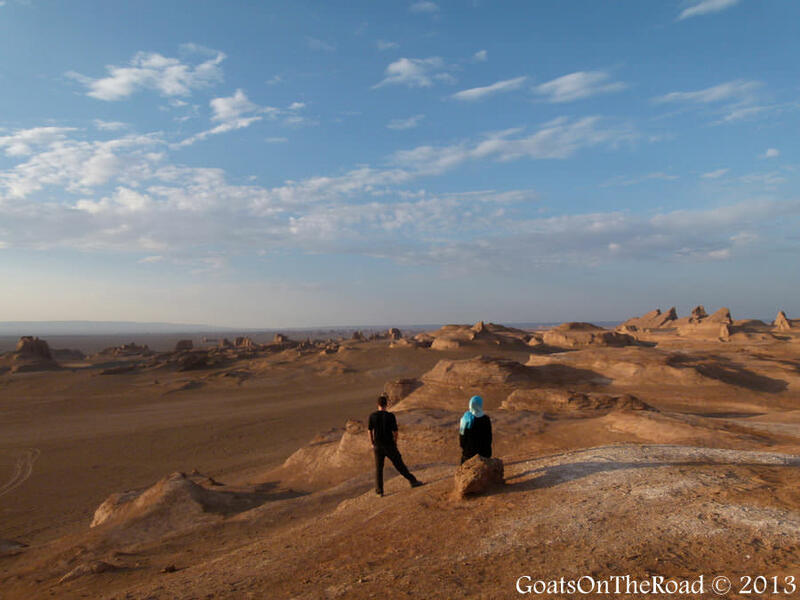 I’m really jealous of your Iran photos! Thanks for the comment Doug. Iran was so photogenic! Impossible to choose a favourite, they are all so awesome! 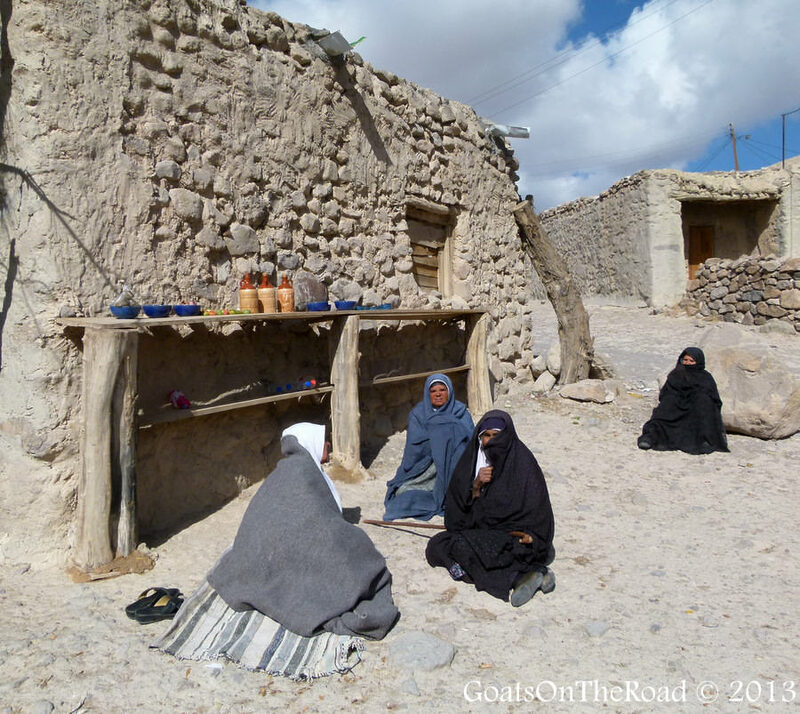 I can’t wait to travel the silk route one day, and your photos are so inspiring. 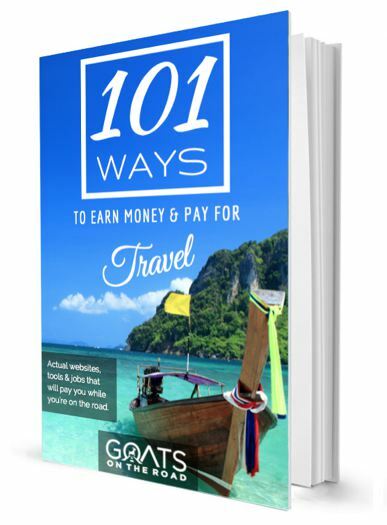 We’ve chatted to quite a few travellers on this trip who have come that way either by cycling or public transport and they have all raved about it. haha, yep, dumplings are definitely good! 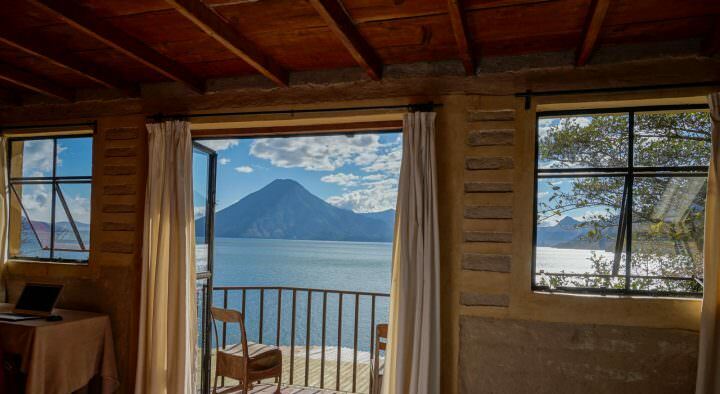 We can’t wait to come to Central America! Hopefully within the next year. 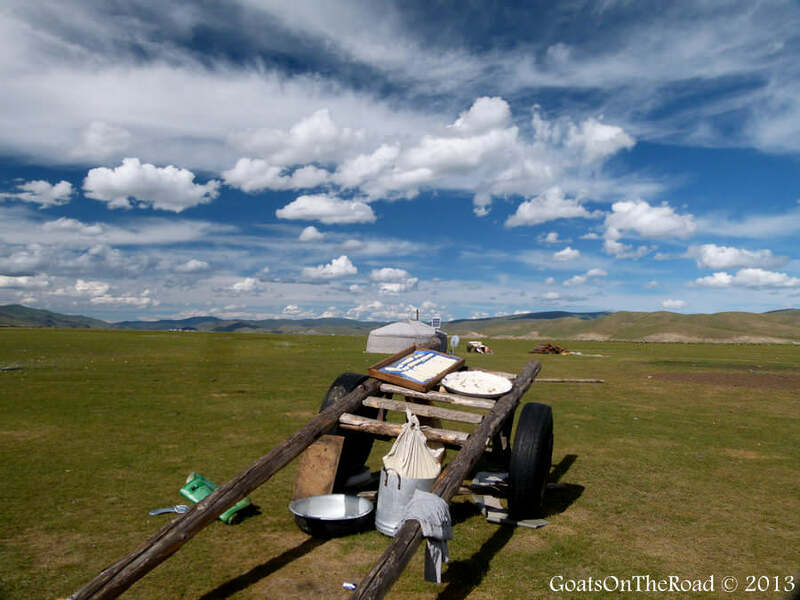 Love the photos, especially of the camping in Mongolia. Love the Canadian stickers on the kids eh, some Canuck propaganda! 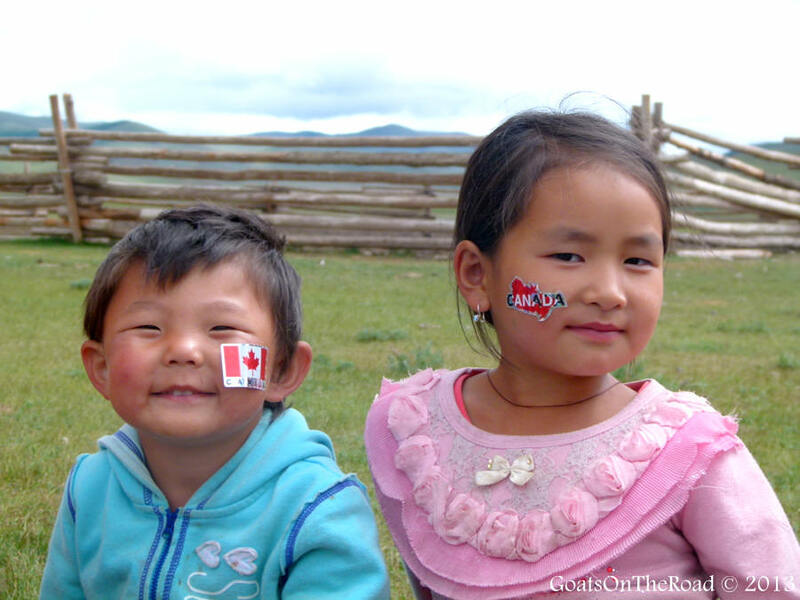 Aren’t those kids so adorable with the Canadian flags on their cheeks! Too cute. Thanks for the comment Frank, the one of the campsite is definitely a favourite of ours. Incredible photos! You really seem to have had an adventurous year! Wishing you a great 2014 as well! Thanks for the comment. Happy Travels. Absolutely breathtaking photos guys, particularly of so many off the beaten track places that most of us would never think to venture to! It’s quite cool after seeing these photos from Iran and Tajikistan to suddenly see my hometown of London right at the bottom! 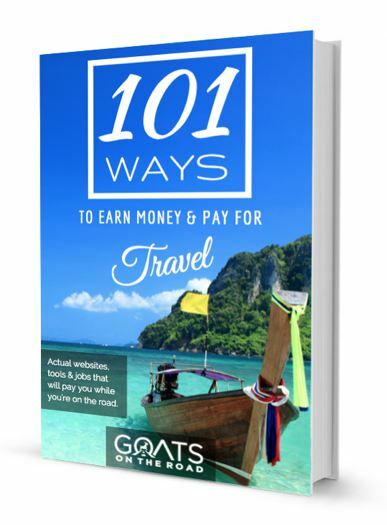 Look forward to reading about all your adventures in 2014! these pics are really great. I have been traveled to china 5 years ago and i still want to come back there one more them. china seem to be a small world of many small countries because you can see many kind of people and culture there.